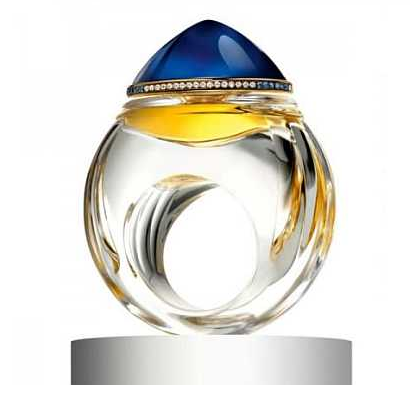 This diamond-and-sapphire studded, Baccarat crystal perfume bottle was designed as a very limited edition version of the classic scent, Boucheron Femme. At £15,000 a bottle, the price per dab's probably a little excessive. If you think of it as a supersized sized ring, however, it starts to make sense.